One of the books I am excited for every year since I started I am Number Four. And we are already in the 4th Book. Wow. So let's jump into what I think about this book. My impression is that this is a breather book. After the exploding events of Rise of Nine, the action stuff were cut down and there's a reason for that. So if you are into this book hoping for another run of explosions and good action I think you'll be disappointed. But I think it was justified. This book is back story I feel. And also some secrets are revealed. That was the main focus of the book. Revelations that will solve some mysteries and open lots of additional questions. And it's so good. The way the author handled all this stuff is good. So even though it was not action-packed, I am grateful for knowing more. I will give this book 4 whales. I'm half-half. It's both a back story and a moving forward. We get more info about their background and also more info about them moving forward. But there were a lot of actions, right? Especially in the penthouse in Chicago. That was cool - and I'm curious as to how they're going to portray it on the silver screen (hopefully!). 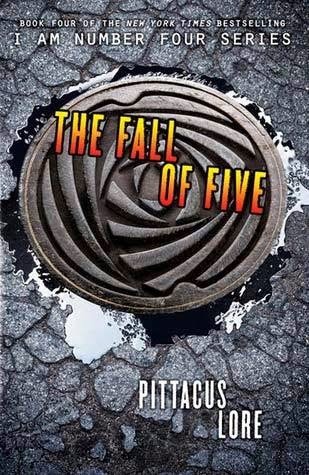 I'm not super satisfied with the Lorien Legacies series, but there's just something about it that makes me want to know what the heck is going to happen next!